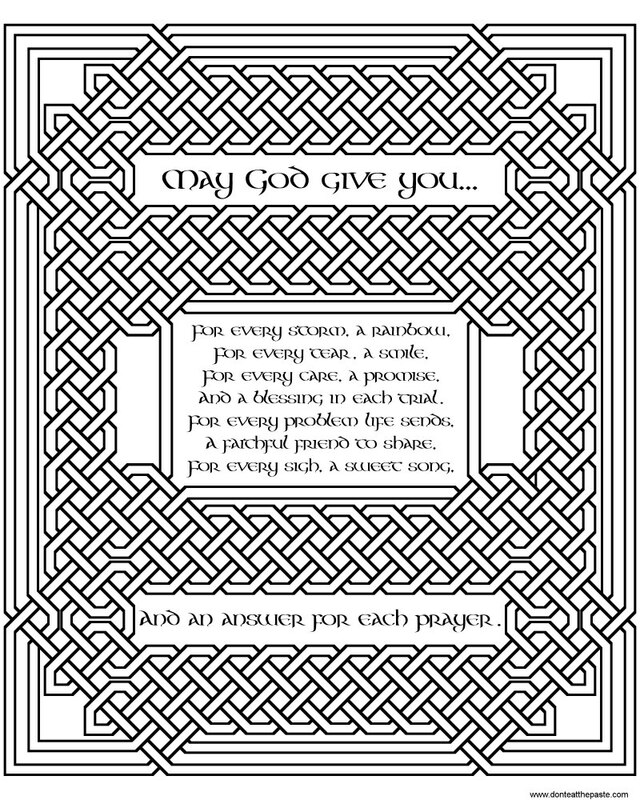 I hope you enjoy this coloring page, it's one of my favorite blessings. The knotted frame is 5 symmetrical strands if you want to color in each strand a different color. 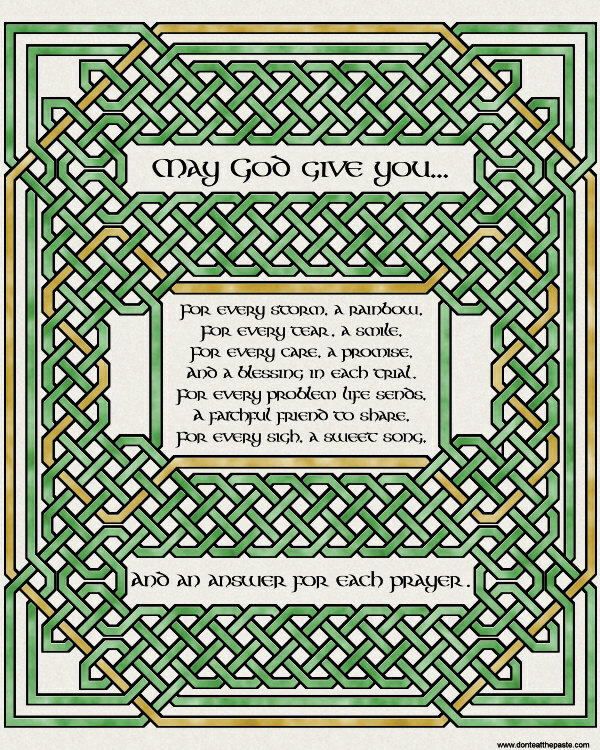 The font used is Cari Buziak's Aon Cari Celtic, and available on Aon-Celtic. 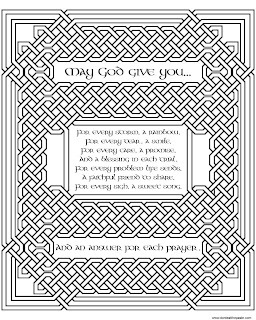 Cari has also posted some of the best knotwork tutorials around if you'd like to learn to draw your own. Click on the images for larger versions. The colored version above is posted on my FB page if you'd like to share it. It's lovely. Is there any way to easily turn this into a cross stitch pattern? 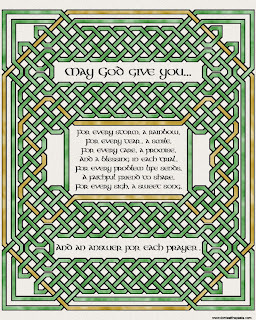 I want to make it for my sister before she goes to study abroad in Ireland. This design, as it is, is much too big for a cross stitch pattern. But I'd be happy to work on creating one! Thanks so much for sharing! Lovely!